Cocoabella owner Michael Freeman has traveled all over the world in search for the finest chocolates currently being produced. Well I have to say... mission accomplished. So far I have tried over 20 different kinds of their chocolates and can attest first-hand that the collection they have amassed is incredible. 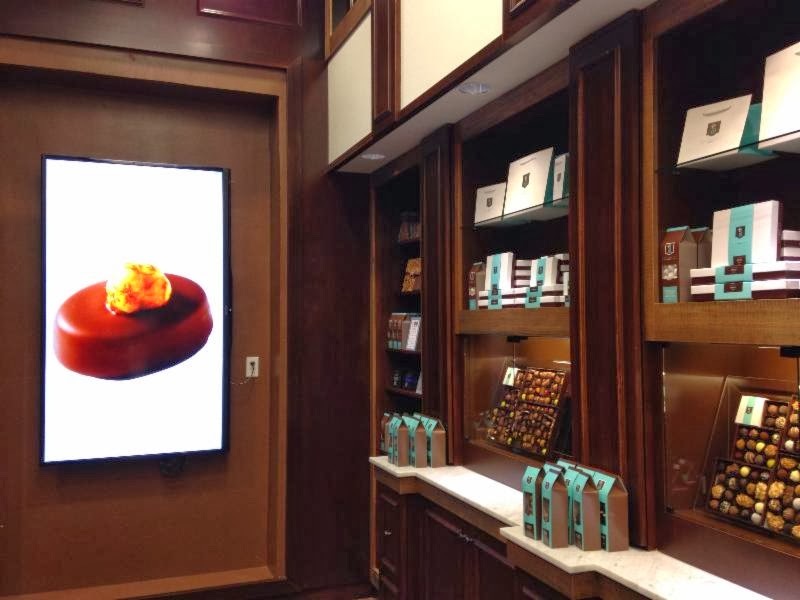 I don't think there is any other chocolate shop in Silicon Valley that comes close to what Cocoabella is offering at the entrance of Valley Fair's luxury wing. In many cases, Michael would have to spend years building relationships with chocolatiers before being able to sell their chocolates. Brand image is critical to these boutique producers, so every shop a chocolatier works with has be be meticulously vetted and meet strict standards in terms of transportation, climate control, how long chocolates can be displayed before being rotated. For some distributors, Cocoabella is the only chocolate shop that carries their product in the United States. 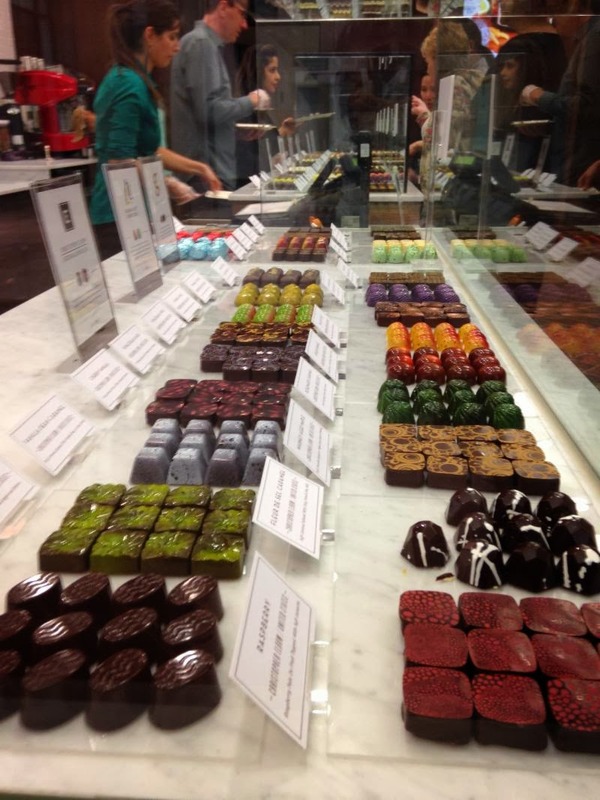 In the shop itself, the chocolates are separated by regions: US, Canada, Italy, France, Belgium, Switzerland, and South America. 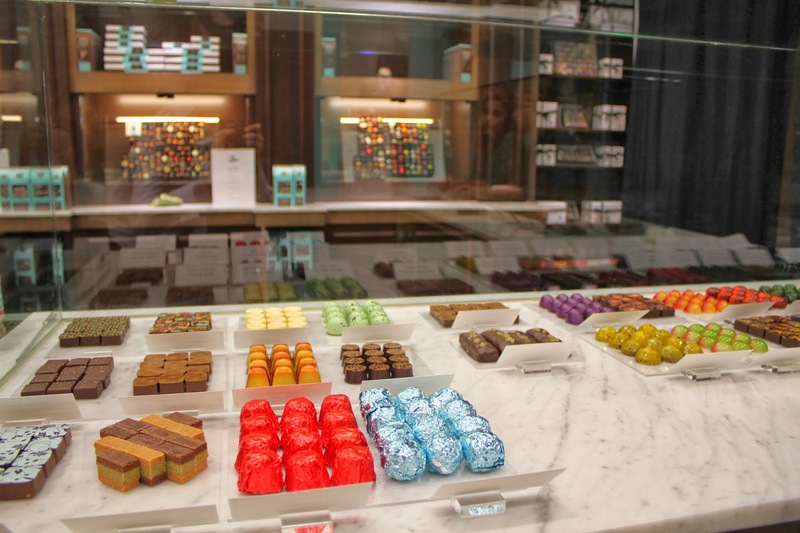 There are about 150 varieties of chocolates that they carry, no two are the same. You have everything from cognac truffles, to candied figs stuffed with lemon peel and almonds, to almond praline mushroom caps. The list is endless and there are no "toothpaste" flavors here, every fruit-infused chocolate I tried was surprisingly amazing (these are typically my least favorite chocolates). If you want to try items that are unique, Cocoabella even had a blue-cheese based chocolate and several with exotic spices and chili-peppers. If you are a fan of hot chocolate, their milk chocolate drink was the best I have ever had in my life. It's a blend of three different kinds of premium chocolate and is well worth a detour any time you're in Valley Fair. I also have to mention that the staff was incredibly helpful. Their depth of knowledge on each piece of chocolate was impressive, and you can tell that they loved what they did and were passionate about their product (you would hope so, given they selling awesome chocolates from around the world). For this level of quality, the prices are quite reasonable. 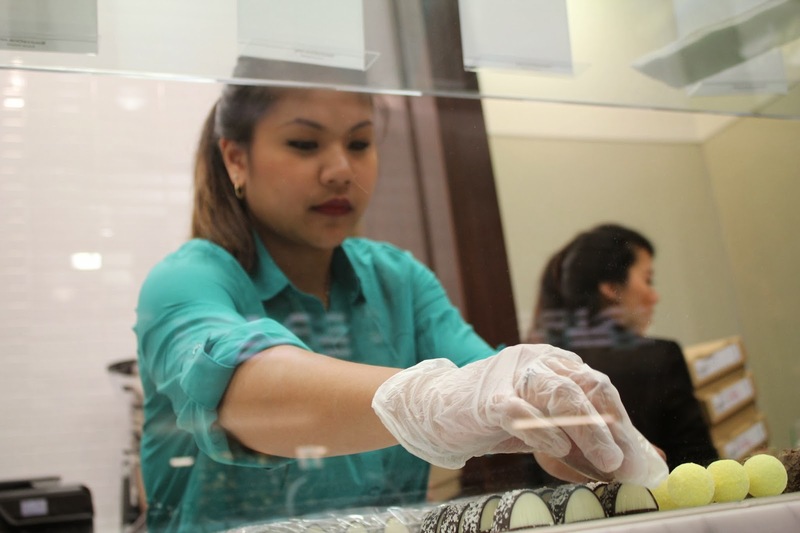 You typically end up paying $2-3 per piece, which is not much more than what Godiva charges. You can either hand-pick your chocolates, buy pre-packaged boxes with seasonal themes, or put in an order through their website. 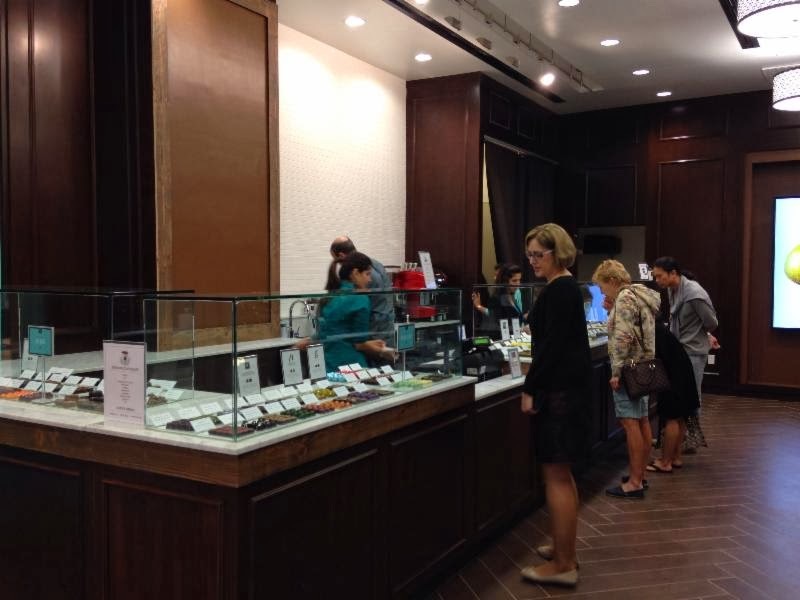 Cocoabella Chocolates is located on the first floor of Valley Fair near the Center Court and neighboring Hugo Boss, Banana Republic, and Wolford.